As the name suggests, this folio-style case is made of recycled leather, and is complemented with a green fabric covering and stitching. 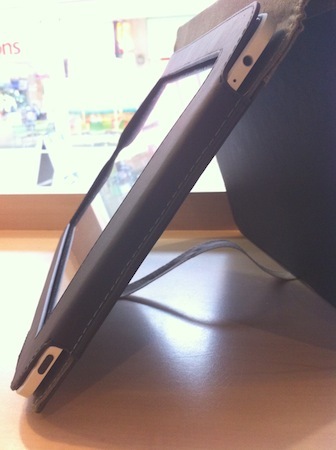 The iPad slides in nicely to a black leather holder, which provides a snug fit. All of the controls and the dock are exposed. 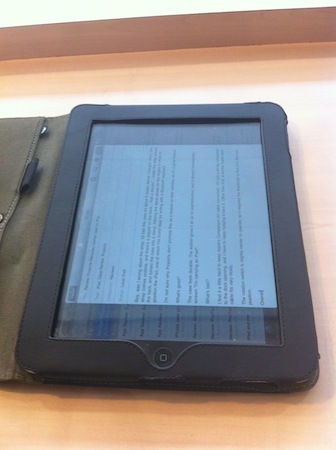 It does add a bit of bulk to your iPad, but not so much that it hinders operation. 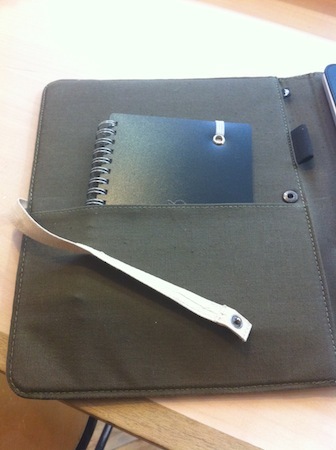 The inside cover has an elasticated holder for a pen, and also fabric pocket, which comfortably holds my small notepad. There’s also a strap above the pocket, which I assumed was to keep things secured in the pocket. Boy, was I wrong about the strap. I’d had this case for about 6 weeks before I thought, Hmm, this strap comes undone, and there’s a popper on the back… Wait a minute!”. I folded the strap around the back, and turned the case into a stand. 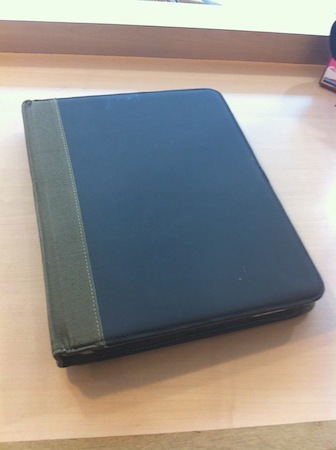 Altering the spine allows for two angles in which to position the iPad, one of which I’ve found ideal for writing with a Bluetooth keyboard. I should have noticed this from their website! The case feels durable. 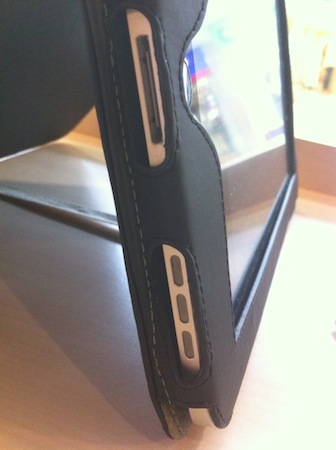 The leather gives it an air of sophistication, and it doesn’t immediately scream “Mug me, I’m carrying an iPad!”. I find it a little hard to keep Apple’s Component AV cable connected – it’s just a bit big compared to the dock opening, and I have to keep nudging it back it. Other than that, a normal Apple dock cable fits very nicely. The rotation switch is slightly harder to operate, so it requires the thumbnail to flick it to the lock position. It’s quite a bookish case, but I quite like that. It’s very well made, but then you’d expect that for £35. 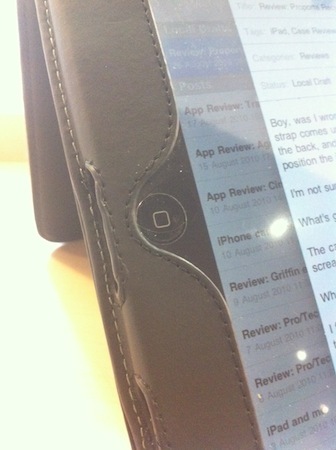 Then again, I get the impression it’ll last as long as my iPad. Sorry, but I won’t be giving this one away! 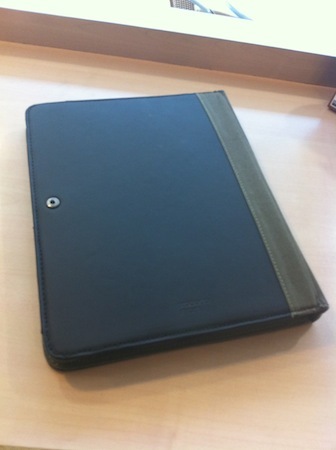 Thanks to Rosie at Proporta for providing the cases for review.